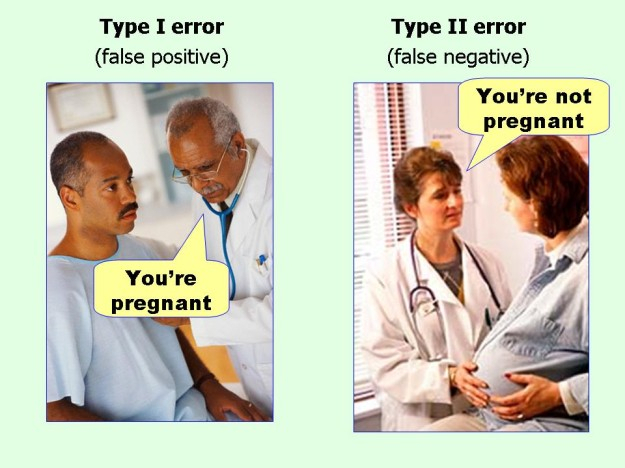 Good way to remember Type 1 and Type 2 errors? This is going to be tested in the exam, and I'm going to screw it up, I just know it. Any tips on remembering which type error is which? Help! I know that - I just can't remember which is which during the exam. Any mnemonics that can help? RTN (Reject True Null), RFN (Retain False Null). Just remember reject/retain. Repeat it a few times, and you will never forget it. That's how I memorize such things. If you have a good memory you can memorize entire concepts like this.